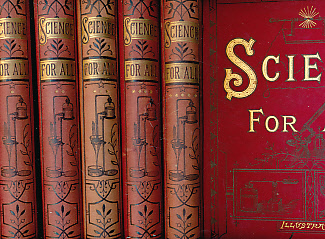 Barter Books : Brown, Robert [ed] : Science for All. 5 Volume Set. London: Cassell, Petter, Galpin & Co.
270 x 200 mm (11 x 8 inches) - viii, 384pp; viii, 384pp; viii, 384pp; viii, 384pp; viii, 384pp. Decorated red hardback cloth cover. VG : in very good condition. Fading to spines. Aeg. This is a heavy set. Extra shipping charges will be requested for some overseas addresses.